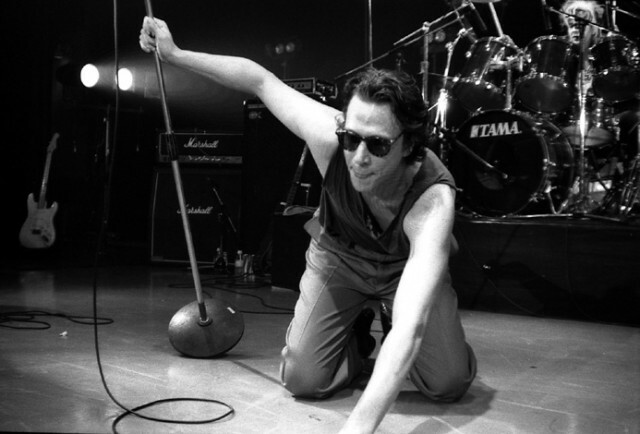 Singer and bassist Richard Hell has accomplished much in his career. First he co-founded the Neon Boys in 1972 that later became the legendary punk group Television. He left the band in 1975 to join the Heartbreakers and then later became the leader of the Voidoids. In addition to releasing albums, most recently last year’s ‘Destiny Street Repaired,’ Hell is a writer of several books. Yet there is one project in Hell’s resume that he is probably not excited about: his participation in the 1980 movie ‘Blank Generation,’ which shared its title with Richard Hell and the Voidoids’ 1977 debut album. Directed by Ulli Lommel, it starred Hell as Billy, a New York musician engaged in an on-and-off romantic relationship with a television reporter from France named Nada, played by Carole Bouquet. However, the musician recently revisited the film for its DVD release, which came out last week, by participating in a new interview for a bonus feature. It was at the request of the film’s rights owners. One of the movie’s highlights is an appearance by Andy Warhol as himself who takes a photograph of Bouquet. “Typically of Lommel, the director, he wanted Warhol for the marquee value, but he treats him disrespectfully in the movie,” says Hell. Still, in his DVD interview with the writer Luc Sante, Hell does pay compliment to Elliot Goldenthal’s musical score as well as the cinematography. Because he liked the way ‘Blank Generation’ was shot, Hell suggests that the movie footage could perhaps be used for something else.